Delivering a fascinating appearance, marvelous quality, and performance that exceeds its class, the all-new FreeMax Twister Kit is the next big hit on the vaping market. It’s a duo that combines the Twister 80W Mod with the FireLuke 2 Mesh Sub-Ohm Tank. The Twister Mod delivers an earth-shattering power of 80W, variable wattage control with a simple twist at its base, and an integrated 2300mAh rechargeable battery. The FireLuke 2 Mesh Tank is just as impressive, featuring a durable structure, a slide-to-fill top fill design, a large 5ML e-liquid capacity using a bubble pyrex glass, and it utilizes the new X1, X2, and X3 Mesh Coils, which provides an extraordinary flavor and vapor production. 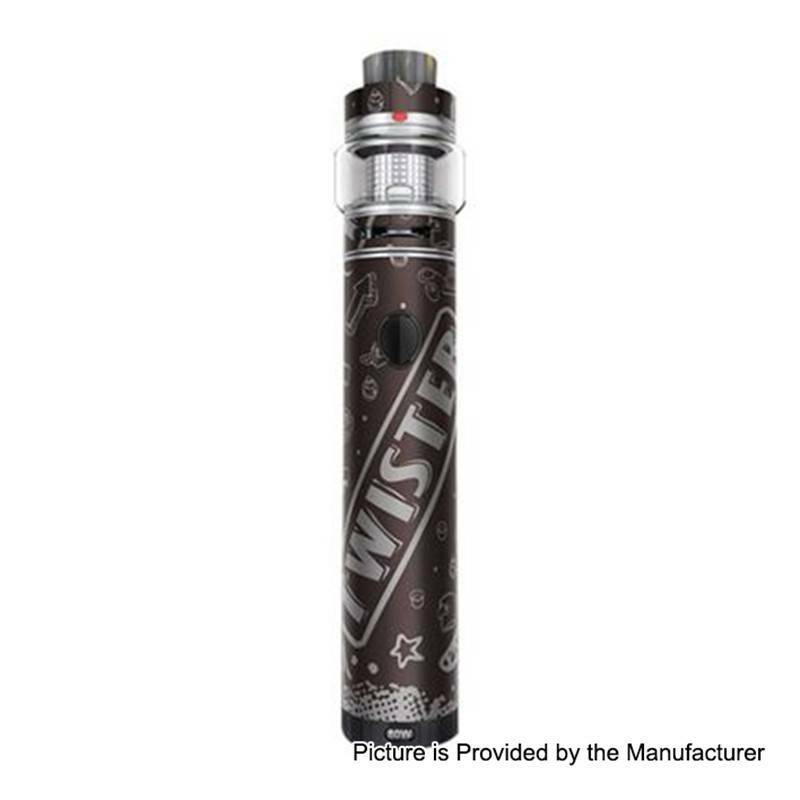 Constructed of stainless steel materials to provide the best durability, the FreeMax Twister Mod is one that holds quality to the highest degree. Its appearance is quite impressive as well, boasting six different optional graffiti prints that were applied using a water transfer printing method. The device utilizes the FreeMax Twister Chip, which comes equipped with a slew of protection features, variable wattage control, and a performance output that you’re sure to remember. Adopting its base as the variable wattage control hub, simply twisting the control ring as its base will allow you to range from 5W to 80W, and a press from its single firing button will deliver the desired output in less than 0.01-seconds. To power this easy-to-use monstrosity of a device, it also comes with an integrated 2300mAh rechargeable battery that can be easily monitored via the embedded LED light that is positioned in the firing button to indicate various working conditions. The FreeMax Twister Kit is a fascinating duo of two high-performance products, combining a perfect match of the Twister 80W Mod and the FreeMax FireLuke 2 Mesh Tank. The two work in unison with one another, matching in quality, appeal, and performance. Where the Twister Mod delivers the hard-hitting power, the FireLuke 2 Mesh Tank relays the incredible performance output. If you’re looking to throw in a “twist” to your daily vape, the new FreeMax Twister Kit will definitely provide it.